Aster's are a large group of hardy perennials, some of the common names for them include Michaelmas daisy, new england aster, purple aster. 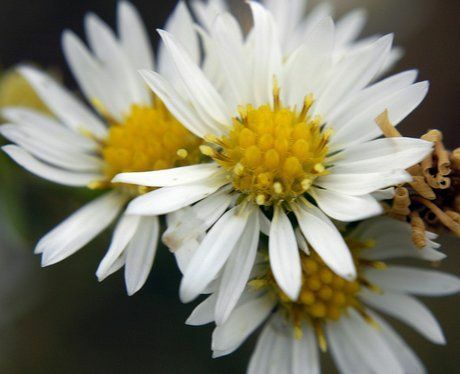 Latin names include Aster divaricatus, Aster frikartii, Aster ericoides, Aster laevis, Aster novi belgii and Aster dumosus. 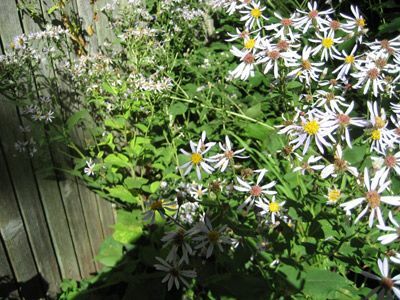 Aster can flower from anytime from spring to late autumn (depending on the species). Asters range in size from 15 to 125 cm in height and have daisy like flowers of white, pink, purple or blue. As many varieties of Aster flower towards the end of Autumn they can make a great plant for bringing colour into the garden late in the season. The smaller members of the Aster family make ideal rockery plants. Blue Aster photograph by Markles55. Aster ericoides (Heath Aster) photograph by Frank Mayfield. Height: 6 to 48 inches (15—120 cm). Flower Details: White, blue, purple, pink. Daisy-like. Foliage: Obovate. Petiolate. Cauline eaves are alternate and lanceolate. Sow Outside: Cover seed. Start of spring or late in autumn. Sow Inside: Sow seeds in a flat. Place in a freezer bag, and then stratify by refrigeration for one month. Germination time: two to five weeks. Temperature: 70—75°F (21—24°C). Transplant outdoors following the last frost. Space at 8 to 24 inches (20—60 cm). Requirements and care: Full sunlight. Light soil. pH 5.5—7.5. Add humus. Pinch tips of young plants to encourage bushiness. Prune off shoots in spring so that only six or seven remain to promote larger growth of larger sized flowers. Provide support. Occasional feed in the summer. Grow in an area in which air can flow to prevent mildew. Water from below, do not splash water on leaves. Divide after three years to maintain vigor. Propagate: by dividing in the spring. Do not allow to self-seed as plants may not remain true. Miscellaneous: Genus has recently been updated and now contains just 180 species; all are from Eurasia (with Aster alpinus also native to North America). Many of its previous members, especially the North American ones, have now been placed into different genera within the 2,800 strong Astereae tribe. Asters were worn as symbols in the 1918 Hungarian revolution. 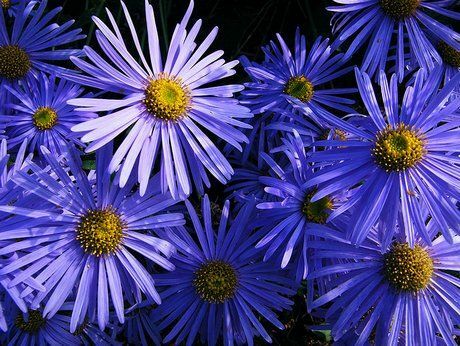 When planting Aster outdoors it is best to pre-chill seeds in a fridge around six weeks before sowing out, lightly covered, in either early spring or late autumn. If you plan to first grow aster indoors then the seeds should be germinated at a temperature of around 21 to 24 degrees Celsius, this takes around two to five weeks. The Aster seeds should first be sown into flats, placed in a plastic bag, refrigerated for a couple of weeks before shifting to the light. Seedlings can then be transplanted outdoors after the last frost of spring, and either planted 25 to 30 cm apart (small species) or 60 cm apart for large species of Aster. Plants should be grown in an area of the garden that has full sunlight, ideally in a light soil with a pH of 5.5 to 7.5. Aster care is fairly easy, though they should be pinched back when young to stimulate auxin and abscibic acid hormones to create more blooms. Theses shoots should then be pruned until ideally eight shoots have developed, leading to a bushy and beautiful plant. 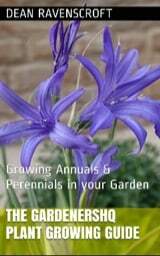 When propagating the plant it is best to divide the plant after three years to encourage robust growth of Aster.